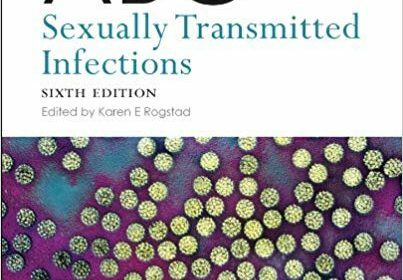 With sexually transmitted infections (STIs) a major cause of morbidity and mortality throughout the world, the new edition of ABC of Sexually Transmitted Infections is a much-needed introduction and reference guide providing concise and practical information on a range of conditions. This sixth edition includes the latest guidance on the prevalence, prevention and treatment of STIs, screening programmes and new testing methods. It features new chapters on service modernisation and new care providers, high risk and special needs groups, the use of the internet for information and education, systemic manifestations and sexually transmitted infections in resource-poor settings. Contraception is also covered, reflecting the increasing integration of STI and contraceptive services. With an international authorship, the ABC of Sexually Transmitted Infections is an authoritative guide and reference for all practitioners, especially those providing community based STI diagnosis and management such as GPs, primary care physicians and contraceptive service providers. Junior doctors, medical students, and nurses working in community or specialist services will also find it a valuable resource as will those working in the fields of obstetrics and gynaecology and public health. This new edition also provides information useful for new STI care providers such as pharmacists, those in the voluntary sector and providers of STI services in resource-poor settings.